Sky has revealed that it is to team up with Cello to offer its Sky Player service on the manufacturer's web-connected televisions and also on 3View set-top boxes. The partnership was announced at the IPTV World Forum in London this week by Stephen Nuttall, the soon to be departing Commercial Director at BSkyB, and marks the first time Sky has had any interaction with the Freeview service in a pay TV capacity. Cello is no stranger to IPTV. 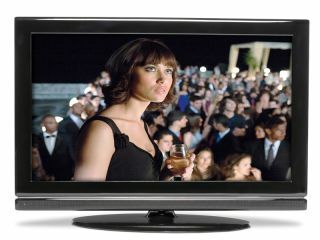 The company launched the iViewer in 2009, the UK's first internet connected TV that enabled consumers to access internet-based media directly and currently offers BBC iPlayer on its TVs. Now Sky Player has been added to this service. As for Sky Player on a set-top box, this will be supplied by PVR maker 3View, which combine access to internet video services with DTT broadcasts. Speaking about the partnership, Griff Parry, Sky's Director of On-demand, said: "The coming together of ground-breaking video services like Sky Player with innovative platforms like Cello and 3View demonstrates the vibrancy of the evolving internet video-on-demand sector. "We will continue to look at opportunities to distribute Sky Player across new platforms, to give consumers even more choice and control over how they access high-quality pay TV content." The Sky Player service is already available on PC, Mac, Windows Media Center, XBox 360 and Fetch TV. According to Sky, existing customers will be able to access Sky Player content on a bonus basis, whilst non-Sky customers will be able to sign up to a choice of TV packages via monthly subscription.